A new planet offers hope to Devon Adairs physically impaired son and others like him. 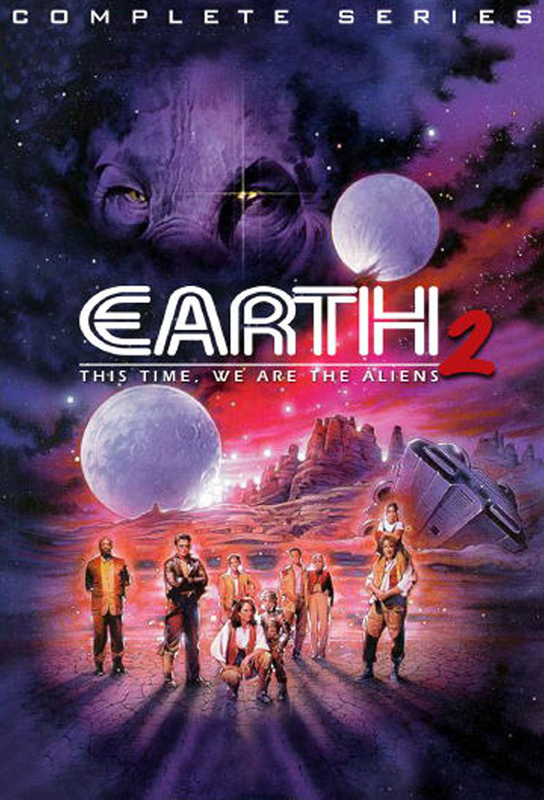 Adair ignores government orders, assembles a crew and embarks on a journey to the unblemished planet 22 light years away. As the colonists begin their journey, John Danziger is the first to observe Gaal, who joins the group with the explanation that he was an astronaut explorer lost on the planet for years. Gaal seeks Trues friendship but reveals himself as an enemy. Gaal sees young Trues lack of attention from the others and turns to her to achieve his evil goals. Alonzo Solace has often been visited by the Terrians through his dreams. This time it is a Terrian who needs the space pilots help. As the pioneers who crossed the American west, the colonists of Earth 2 know they will encounter many dangers and now, memo flashbacks remind them of the Eden Advance spaceships harrowing final moments in space. With the Grendlers stealing reserves, the colonists must scan for bodies of much needed water. Danziger decides to head out in search of water and Devon insists on joining him. The marriage of Bess and Morgan is threatened. Julia sees Ulys arm sink into the earth and senses an unknown power in him. Frightened he calls his mother, but in her presence the earth remains solid. Julie continues to experiment with Ulys DNA on orders from Reilly, but her duplicity is discovered by True who now has to convince the rest of the colonists. Julia has been left behind and it weighs on the minds of all the colonists as they move across the harsh terrain. Only Alonzo turns back for her. It is a chilly morning in the high desert as the group begins work. They think winter is their worst enemy but they are wrong. Morganite, a pulsating mineral that glows, causes a great amount of anguish for Yale and frightening problems for the others. At the biosphere, the petrifying geo-lock came within 100 meters of the camp. The colonists need the reversing code. Morgan attempts to reverse geo-lock before all is lost. Seeking warm clothing, Danziger and other are tracking a fast-moving scavenger Grendler in wintry terrain when they come upon a fur-covered figure. The fleeing man wears a strange steel mask. Miles from nowhere, Danziger crosses the frozen tundra looking for food, severely unprotected from the harsh weather. Suddenly, a mysterious hooded figure appears. Inside a cave two eager Grendlers interact as they rummage through an insulated box marked Eden Project. Brushing away spider webs, they see the words Human Blood printed on the side. Danziger, Julia and Walman discover and excavate a Terrian corpse frozen in ice and completely preserved. That night, both Alonzo and Morgan are confronted in their dreams by the unfrozen, half-decaying, but very much alive Terrian. The present and future are mixed as Devon tries to save Ulys life. It is the future and we are in Expansionist Territory. A man and a rebel Terrian tie off explosives lowered into a generator. Danziger surveys an endless, forbidding vista as he returns to the dunerail where Julia, Morgan and Alonzo are waiting. There has been a serious direction error but he wants to go on in spite of Devon and Yales warnings. The colonists come upon a crashed Earth re-entry research module. The open the hatch of the 100-year-old craft and find there is still nuclear power. Alonzo in Dreamscape steps from Julias tent to an open cliff with a huge circular landing pad. A Terrian pulls him back, and Alonzo awakes in the tent, his leg still injured. Devon talks to Yale about their dwindling food rations while Morgan enjoys a five course meal, courtesy of virtual reality. Scouting in all directions, Danziger, Bess and Morgan come upon colorful flower buds which burst open throwing a golden powder in their faces. The flower pollen carries a sickness that causes them to emit a golden vapor.